Born in 1965 in Stockholm, Thomas Bernstrand runs his design studio Bernstrand & Co in Stockholm. Trained at Konstfack, University College of Arts, Crafts & Design in Stockholm, 1994-1999, Danmarks Designskole, 1996, and the Royal Academy of Fine Arts in Stockholm, 2005-2006. 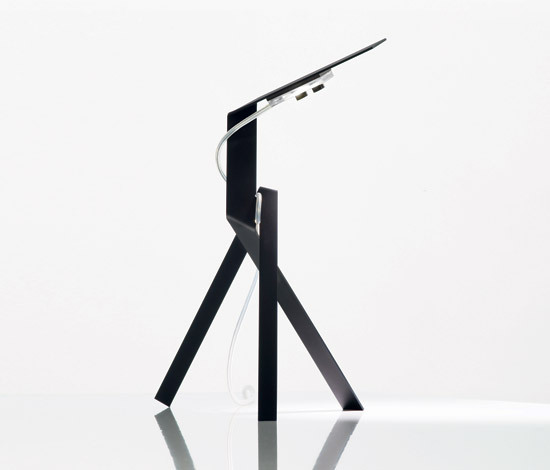 The distinguish of Thomas Bernstrands design is that it is always basted on a strong idea with a humours touch. Thomas never compromises and he always stick to his basic idea. And with this strong idea Thomas doesn't need to covering up anything. For his work he has received the following design prizes and awards: Excellent Swedish Design (twice), the Spanish cDIM Design Award 2004, Ann Wall Design Prize 2005, Sköna Hem Furniture of the Year, 2005, and Imm Interior Innovations Award (Germany), 2005. He has taken part in several art and design exhibitions around the world, including MoMA in New York, Colette in Paris, Biennale Design Saint-Etienne, etc. Thomas works on commissions for several Swedish and international companies, such as IKEA, Swedese, Askul, Muutu, Droog, among others. Swedese is a Swedish furniture producer with a strong anchor in both the public and domestic domain. It was founded in 1945 by the two brothers Yngve and Jerker Ekström and Sven Bertil Sjöqvist, with Yngve leading the company until his death. The present owner of Swedese is Mrs. Elisabeth Johansson. The headquarters are located to Vaggeryd in Småland, Sweden, where one of the factories can be found. The second factory is located in Äng, a small village outside Nässjö, Sweden. Numerical control (NC) refers to the automation of machine tools that are operated by abstractly programmed commands encoded on a storage medium, as opposed to manually controlled via handwheels or levers, or mechanically automated via cams alone. The first NC machines were built in the 1940s and '50s, based on existing tools that were modified with motors that moved the controls to follow points fed into the system on paper tape. These early servomechanisms were rapidly augmented with analog and digital computers, creating the modern computer numerical controlled (CNC) machine tools that have revolutionized the design process. In modern CNC systems, end-to-end component design is highly automated using CAD/CAM programs. The programs produce a computer file that is interpreted to extract the commands needed to operate a particular machine, and then loaded into the CNC machines for production. Since any particular component might require the use of a number of different tools—drills, saws, etc.—modern machines often combine multiple tools into a single "cell". In other cases, a number of different machines are used with an external controller and human or robotic operators that move the component from machine to machine. In either case, the complex series of steps needed to produce any part is highly automated and produces a part that closely matches the original CAD design. Laser cutting is a technology that uses a laser to cut materials, and is typically used for industrial manufacturing applications. Laser cutting works by directing the output of a high power laser, by computer, at the material to be cut. The material then either melts, burns, vaporizes away, or is blown away by a jet of gas,leaving an edge with a high quality surface finish. Industrial laser cutters are used to cut flat-sheet material as well as structural and piping materials. Advantages of laser cutting over mechanical cutting vary according to the situation, but two important factors are the lack of physical contact (since there is no cutting edge which can become contaminated by the material or contaminate the material), and to some extent precision (since there is no wear on the laser). There is also a reduced chance of warping the material that is being cut, as laser systems have a small heat-affected zone. Some materials are also very difficult or impossible to cut by more traditional means. One of the disadvantages of laser cutting includes the high energy required. 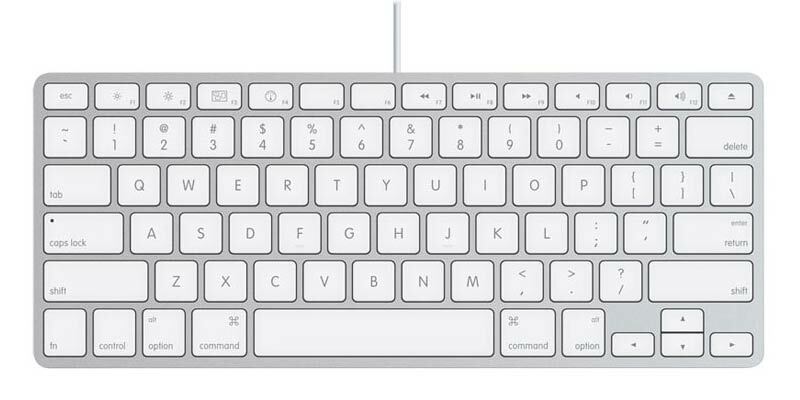 Keyboard frame, Jonahtan Ive, Apple, 2007. 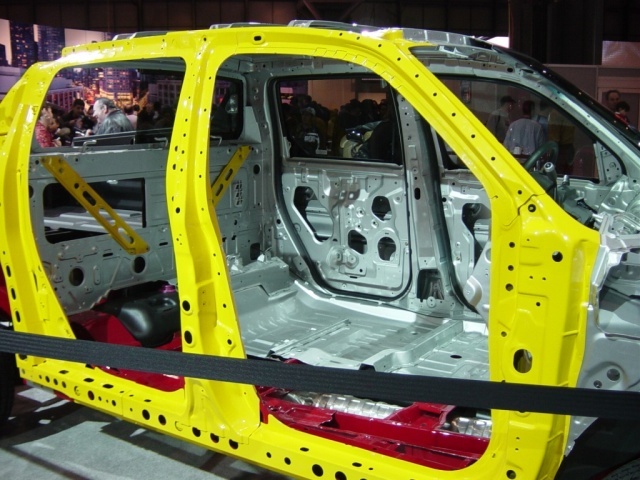 Car Structure, New York Auto Show, 2005. British scientists have discovered that getting someone to hold the bottom of a ladder while you climb it could do more harm than good. Researchers at Loughborough University conducted 780 tests while working on a 200-page report into ladder safety that was commissioned by a Government safety watchdog. The scientists decided that the age-old practice of holding your mate's ladder at the bottom could cause more accidents if the wrong technique was used. This was partly because "footing" the ladder - steadying it at the bottom with a foot - gave a ladder-climber a false sense of security. The study concluded there were four main types of ladder accident. Accident Compensation Corporation figures show that step-ladder accidents cost New Zealand $17 million a year. A husband is being treated for shock after his wife was killed when he fell from a ladder while using a chainsaw. The 56-year-old man, who has not been named, was pruning trees at the couple's home in Eltham, south-east London, when the accident happened on Monday afternoon. Police said that his wife, who was also in her 50s, was not decapitated, but that she was killed instantly. Her husband was taken to hospital where he is being treated for shock. A police spokesman said: "It was a really tragic accident. He is obviously in a great deal of shock." A report is being prepared for the coroner and a post-mortem examination on the woman's body is to be carried out at Greenwich mortuary. A 45-year-old man died after falling from a ladder at work in Brooklyn Park, authorities said Saturday. Larry Auren of Cedar, Minn., was taken to North Memorial Medical Center in Robbinsdale after the accident Thursday afternoon. He died Friday morning of head injuries, according to the Hennepin County medical examiner. The accident was under investigation by Brooklyn Park police. A decorative painter lay fatally injured and alone overnight in the downtown St. Paul Public Library this weekend before his worried wife found him, according to the man's employer. After apparently falling from a ladder or scaffolding, Raymond Tatar was found unconscious but breathing Sunday morning inside the library, which is closed while undergoing a two-year $15.9 million renovation. He died Sunday night at Regions Hospital. Matthew Anson, 42, of Independence died Wednesday after coming into contact with a power line in Overland Park. Fire and rescue crews were called to the 9800 block of West 129th Street around 3 p.m., said Overland Park Fire Department spokesman Jason Rhodes. Witnesses said a contractor working outside a house was moving an aluminum ladder that came into contact with overhead power lines, Rhodes said. Crews transported Anson to a hospital where he was pronounced dead. Before using a ladder, especially a ladder that has been stored in the garage for a while, inspect it for cracks or broken joints. Use the 1:4 ratio to ensure a stable working platform. Place the base of the ladder 1 foot away of whatever it leans against for every 4 feet of height to the point where the ladder contacts at the top (see graphic). Inspect ladders regularly. Stepladders and extension ladders should be inspected for broken or frozen joints or latches. Aluminum ladders should be inspected for cracks and broken welds. Aluminum ladders should also be inspected for rough spots and burrs before first use. Wood ladders should be inspected for cracked wood, splinters, and rot. Look for broken or loose hardware. Protect wood ladders with linseed oil or clear sealant. Never paint a wooden ladder - the paint may hide imperfections such as rot or cracks. "Heaven" uses a novel construction technique, where the steps cantilever up from the base. This is unique in comparison with existing stepladders. Library Steps - Chair/Ladder, 1810. This ladder variation appeared in England in the last half of the 18th century in many forms, chiefly combined with benches, chairs, tables, etc. The ladder part unfolds, sometimes providing a handrail. Step ladder Patent, Jerome Bell, 1952. A purpose of the invention is to permit a step ladder to fold into a comparatively flat form and occupy a minimum of space in folded position, while at the same time having ample depth of step when the ladder is opened up, thus providing security and safety of tread on the ladder. A further purpose is to provide a step positioning bar pivotally connected to the individual lower steps and below the top step, and preferably to make such bar extend parallel with the front rails. This variation is a combination of a short step ladder with a stool. It use is normally domestic, in home libraries, kitchens or garages. Jean-Prouvé always regarded himself as more of an engineer and constructor instead of a modern designer. He never designed for the sake of form alone, concentrating instead on the essence of materials, connections and production. Prouve himself was trained as a metal smith before attending engineering school in Nancy, and his intimate knowledge of metal remained the foundation of his work and career. After opening his own workshop in 1923, Jean Prouve began producing modern metal furniture such as this rolling step-ladder. Aronson, Joseph; “The Encyclopedia of Furniture”; Clarkson Potter, New York, 1965. After searching high and low, the world's tallest man has got married to a woman half his age - and two-thirds his height. Bao Xishun, a 2.36 meter tall (7 foot 9 inch) herdsman from Inner Mongolia, tied the knot with saleswoman Xia Shujian, who was 1.68 meters (5 feet 6 inches) tall.